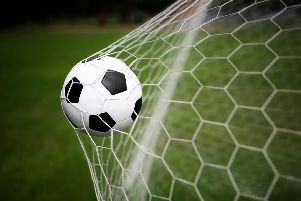 Natasha Stephens’ 18-yard strike proved a mere consolation for Chichester City as they lost 4-1 to WPL southern-division champions Charlton Athletic. Charlotte Gurr’s first-half goal was all that separated the two sides at half-time despite a strong attacking threat from Chichester who struck the woodwork four times. Kit Graham added a second before Stephens bagged her first goal it wasn’t enough as the Champions kicked on with Gurr and Graham both finishing with two goals apiece. Matt Wright’s squad was a mix of youth and experience against a strong Charlton side. There was a call-up to the bench for Gabriella Hobday while Alice Walford made her first start for the first team. It was perfect weather at Sporting Club Thamesmead for the final match of the season with the champagne for the hosts, who were presented with the league trophy after the match. Both sides were quick out the blocks and Chloe Melton curled a ball in for Jess Lewry, who headed wide, before Graham was outdone by the offside trap. With less than 15 minutes left Stephens curled a stunning shot from 18 yards into the net which Startup got a hand to but couldn’t keep out. Charlton, against the run of play, took the lead in the 12th minute, Gurr sidefooting into the goal as Graham set her up. Attacks still came in waves for Chichester as Cherelle Khassal’s volley smashed the post followed by a near-miss for Melton who couldn’t connect with Stephens’ cross. Chichester had opportunity after opportunity and hit the woodwork twice. Charlton keeper Katie Startup claimed a Khassal volley before Melton and Stephens both missed chances. Melton struck the woodwork before Startup denied Alex Collighan the chance to finish off a great move as she turned three defenders, the keeper turning the ball onto the post and out. The second half was different as Charlton clicked into gear and Graham doubled their advantage in the 61st minute. Laura Ingram blocked the first shot before Graham lofted the ball over Sadie Blakely. Olivia Lukasewich was causing problems for the Chichester defence and was caught offside after her shot was turned around the post by Blakely. Charlton hit back within minutes as Gurr headed in her second. Graham was one goal away from clinching the league’s golden-boot award. Blakely and her defence proved stubborn as the Chichester goal was peppered with shots. But deep into injury-time Graham’s efforts paid off when a free-kick enabled the prolific striker to turn and tap in for her 32nd goal of the season. Chi City Ladies: Blakely, Phelps, Cheshire, Tucker, Lewry, Melton, Collighan (Hobday), Stephens, Ingram (Taylor), Khassal, Walford.